In Realdania Medlemsdebat we have with great success cooperated with Tania at several levels: In-house we have been inspired by Tania's sober and unpretentious approach to CSR, and at our network meetings Tania has been an engaged speaker to the great delight of our members, who have benefitted from the mind-provoking messages and precise communication. There is no one formula for sustainable value creation, partly because it is a journey more than an end-state, but also because it depends on the company’s culture, ambitions, market challenges etc. Reviewing many of the current guidelines, tools and practices of champions, there are, however, some enabling factors that recur. Want to learn how to do good and do well - or to get even better at it? 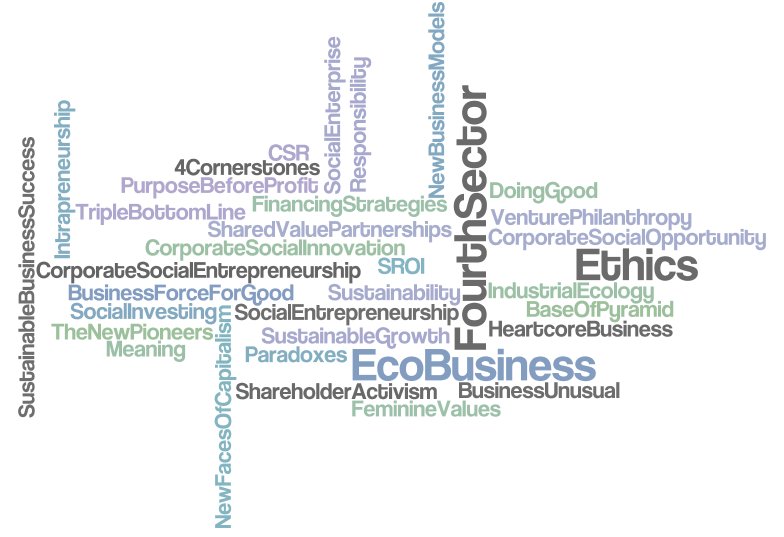 Follow the road to sustainable business success paved by first-mover companies and pioneering social entrepreneurs. Do you want to find out why practices built on ethics, responsibility and sustainability are business and innovation opportunities that cannot be missed? Or are you already one of the increasing number of progressive companies or organizations, who are in the process of, or want to adapt the 21st century business mindset? Get new insights and practical inspiration that can help you get started, or to take the next steps forward towards sustainable business success. Blending purpose and profit – why & how? The 21st century business mindset is represented by this century’s generation of visionary companies and social entrepreneurs that are creating a new face of capitalism. They believe that social responsibility can be used as a means of generating economic value – and that business can be used as a means of generating social value. Because they realize that sustainable business practices that create both economic and social value will secure business success and long-term growth as well as the well-being of people and planet. Find out why practices built on ethics, responsibility and sustainability are business and innovation opportunities that cannot be missed. Discover how companies gain competitive advantage by putting innovation and sustainability into the core of their business thinking. Understand how entrepreneurs create innovative solutions and sustainable value by challenging conventional logics. Learn from their successes and failures to overcome the paradoxical pitfalls of sustainable business. Gain insight into the new innovation formulas and four cornerstones for economic and social value creation. Master the rules of sustainable business in the new economic world order. You are guaranteed a wide variety of inspirational business cases as well as an introduction to principles and tools that can help you put words into sustainable business actions. All presentations on business & entrepreneurship are based on the key findings and extensive research behind Tania Ellis’s internationally acclaimed book The New Pioneers as well as her own many years of hands-on experience as a business manager and entrepreneur. Want to book or know more about how we can add value to your event?